You have noticed that the audio is sometimes quite low in volume, requiring you to crank up the volume. You have videos for watching, however the audio levels of the movies are too low, so you need to boost the gain somehow. You have tons of video clips and audio tracks that you want to know is there any easy way to adjust the volume to a standard level. 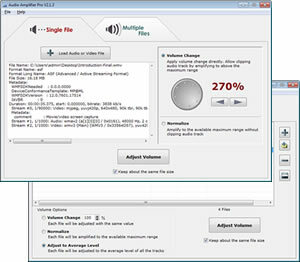 Audio Amplifier Pro adjusts the volume of your audio file or video file. 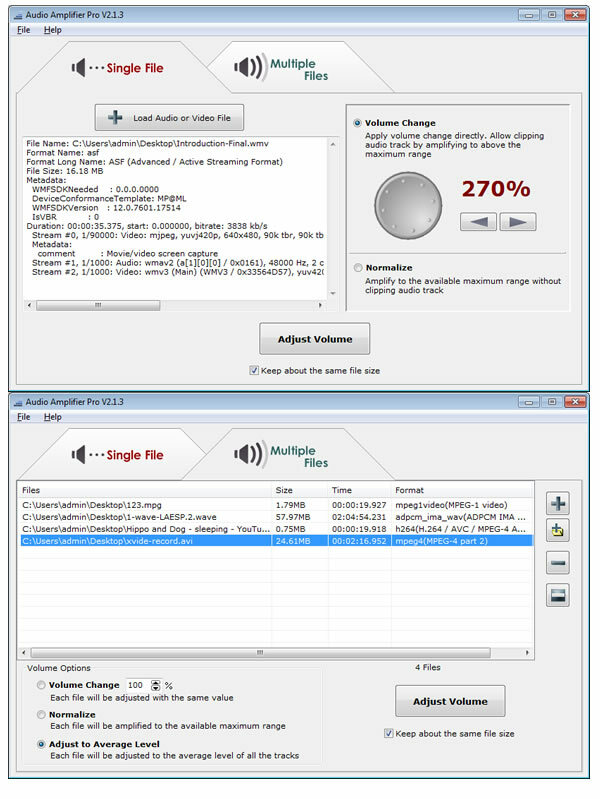 It also allows you to normalize all files to the maximum volume possible without clipping audio track or adjust all files to average volume level. With only several clicks this simple tool bumps the audio up. It would keep the video track unchanged, and the audio will be adjusted with an increase or decrease in volume. Audio Amplifier Pro works with all key video and audio formats.